Electromagnate the board game, set in the Electromagnate Comic Book Universe, started as part of a vision for a much greater plan which included the comic book series, graphical novel, playing cards, the board game, and eventually a MMORPG all based off a single idea and universe. 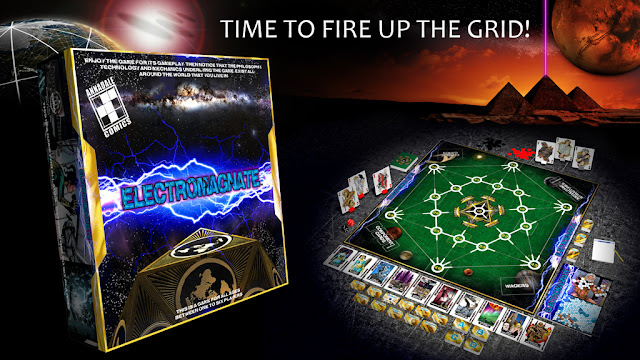 In Electromagnate the board game two teams, one to three players per side, compete to close circuits on the game board. To do this players traverse grid nodes and place component cards onto grid lines. Once you close a circuit you begin to draw power from the enclosed area. Acquired power can be used to purchase character upgrades, which increase player abilities. 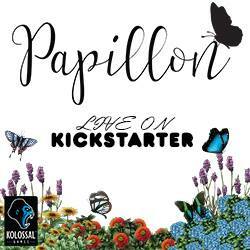 Or technology can be purchased, to help your play or hamper your opponents. Finally, megaliths can also be purchased/built, to increase the power gained from areas. Combat can be enacted to battle your opponent for control of grid nodes or grid lines. 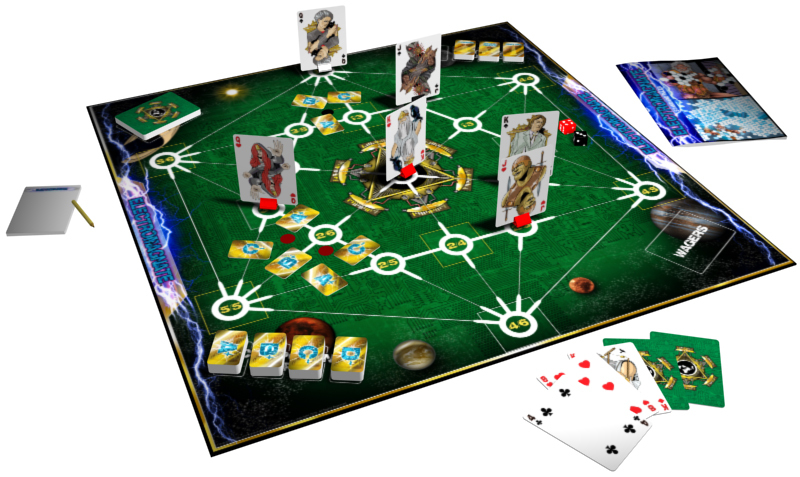 Inserted into the combat/poker deck are random event cards, which bring elements of chance to the game as well. The player/team that can build a ring circuit, which is a circuit that connects circuits of the same team in 360 degrees around the center node, wins! 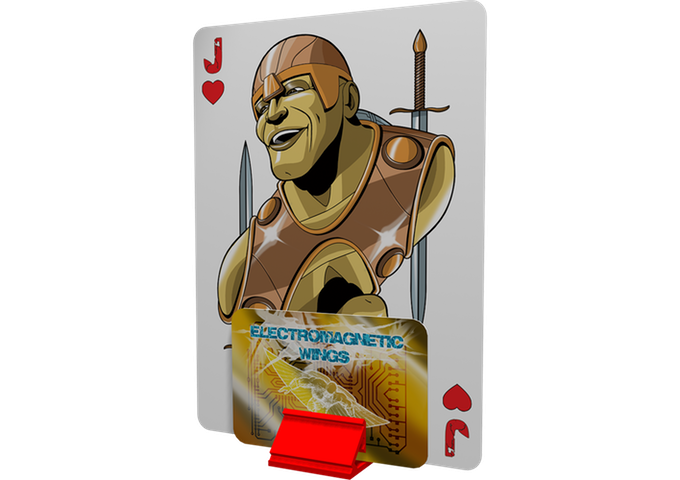 There are also alternative methods of winning like short circuits and the game allows for customization of winning conditions. Between the custom win conditions, optional game modes, the variety of characters, the multiplicity of upgrades, and various board setups, Electromagnate offers a lot of replayability. 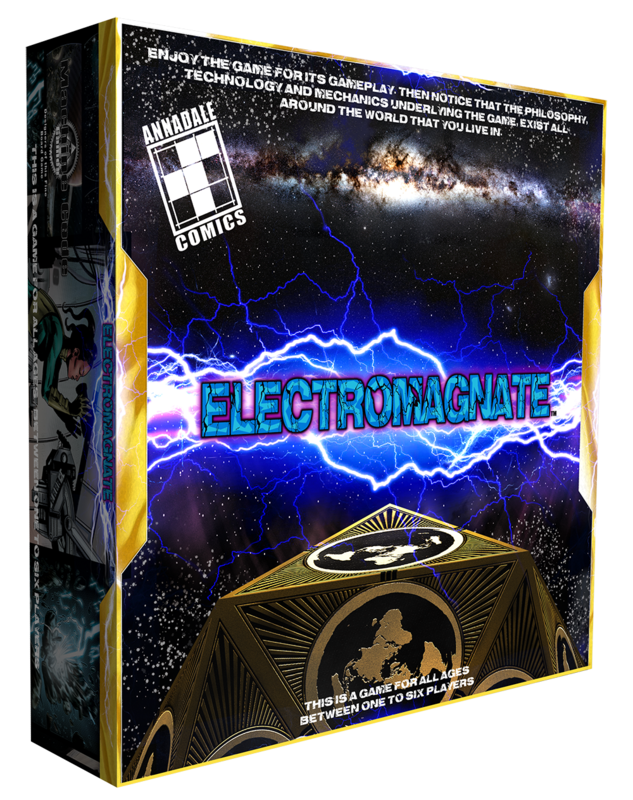 You can check out Electromagnate on KICKSTARTER between now and June 29. 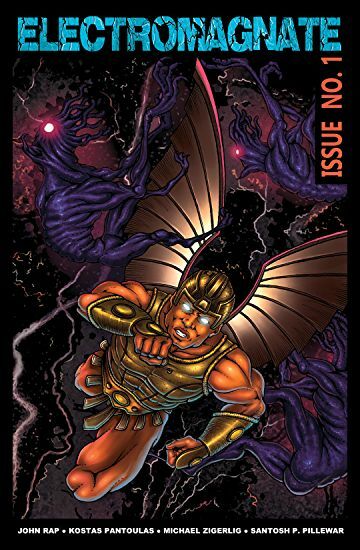 It is brought to you by Machine Code Games and Annadale Comics.